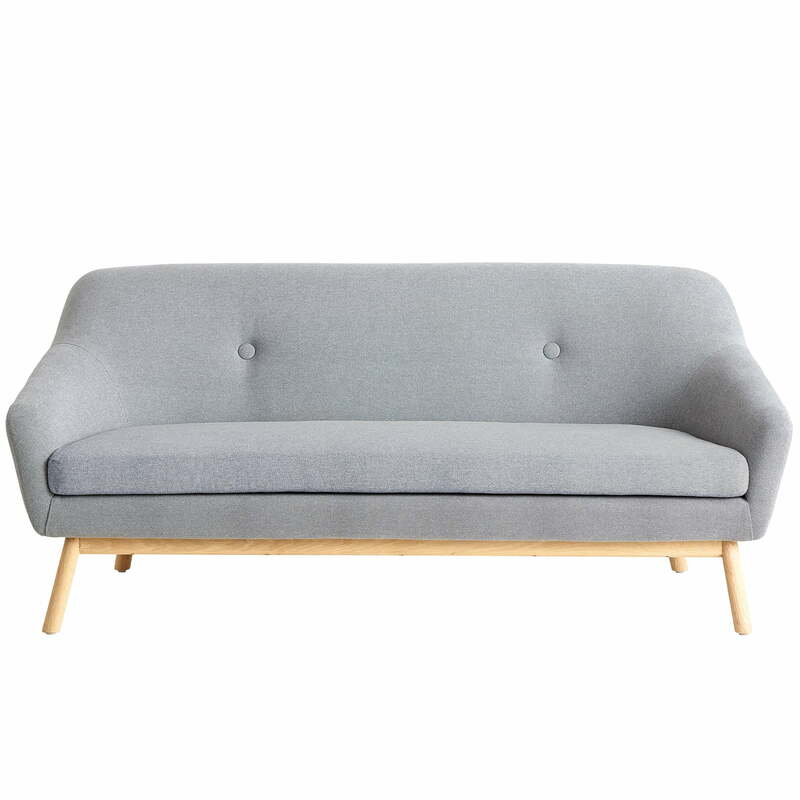 The Peppy Sofa by Woud features a playful and vibrant appearance. 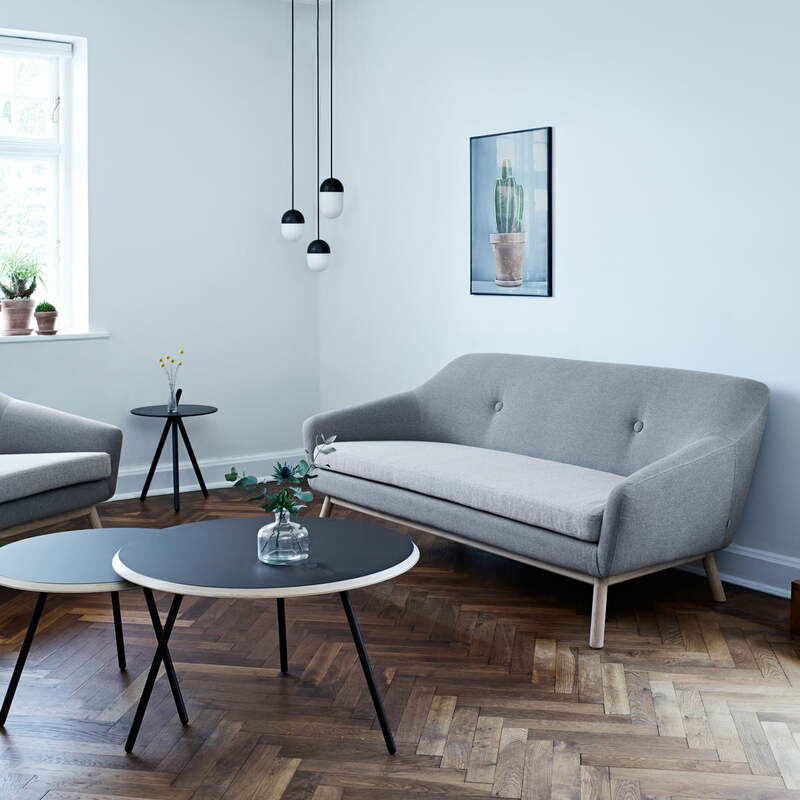 It is a tribute to the Scandinavian sofas of the 60s and the modern interpretation of the retro look. 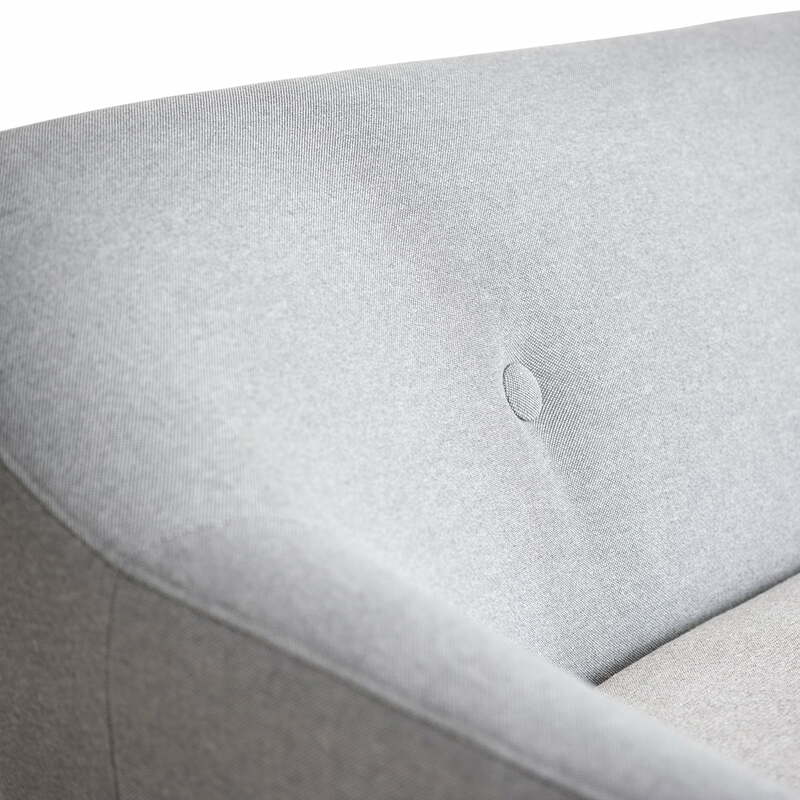 The comfortable and spacious seating surface is surrounded by a backrest, which merges into sloping armrests, and invites you to linger and relax. 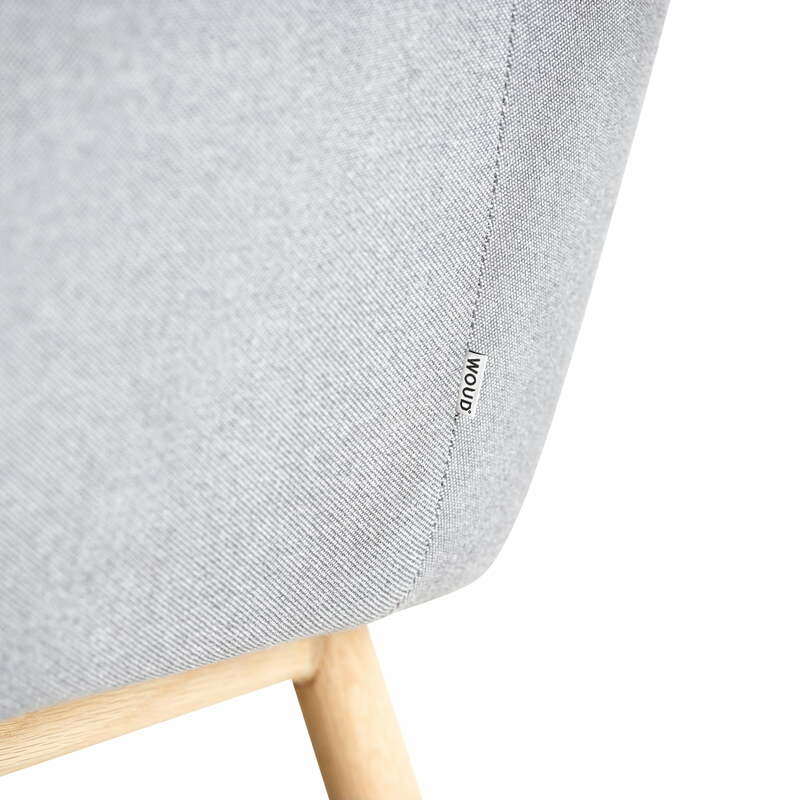 A special detail is the two buttons on the backrest, that complement the high quality upholstery in a special way. The charming retro sofa by the design studio Says Who is available in several versions, so that you can choose from different fabrics and colours, to make a sofa that matches all your needs. 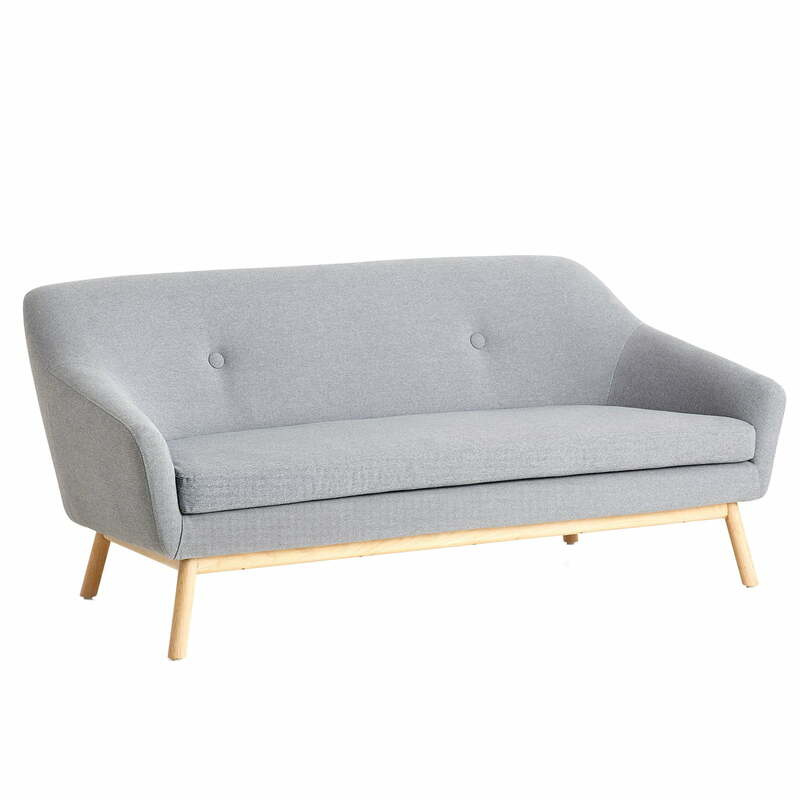 The Peppy sofa 2-seater by Says Who for Woud with Kvadrat Hallingdal 130 fabric makes for a great picture when complemented with the Soround Side Table in various sizes.